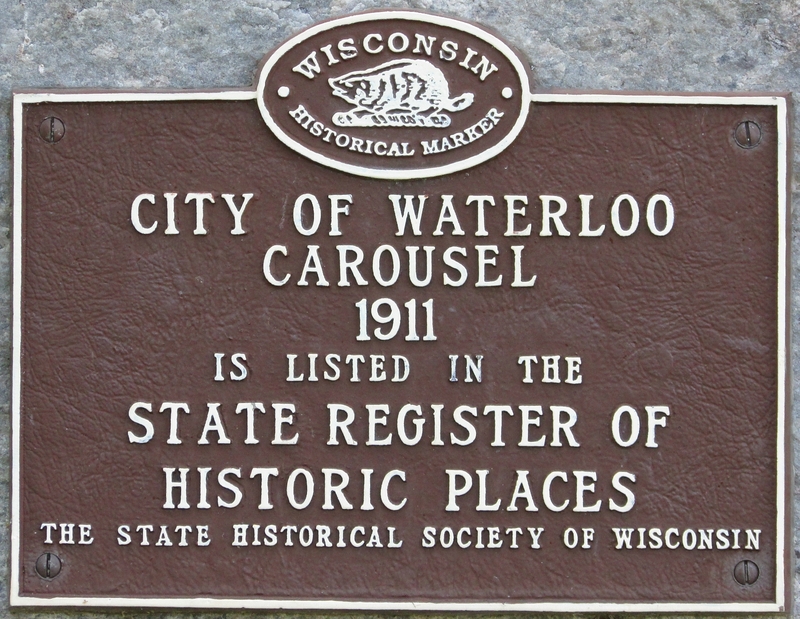 Waterloo is a town of over 3000 in Jefferson County that has a lot going for it. 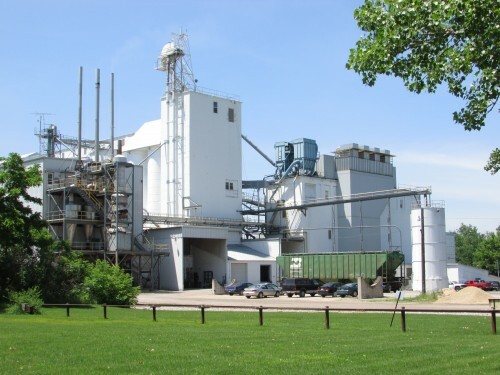 It host three major industries, Trek Bicycles. 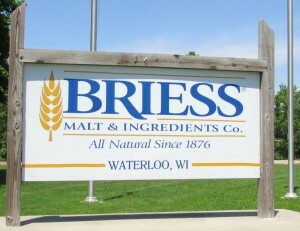 And Briess Malt and Ingredients Co. There is plenty to see in town as well. 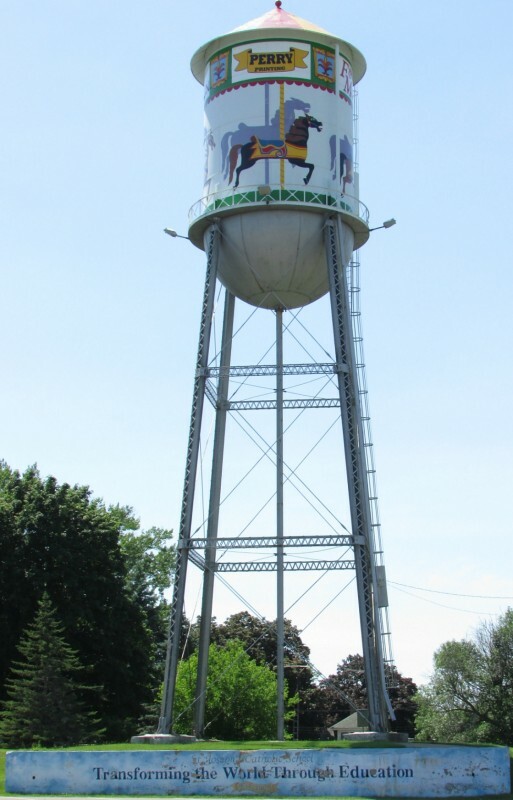 It has a distinctive water tower that looks like a carousel. 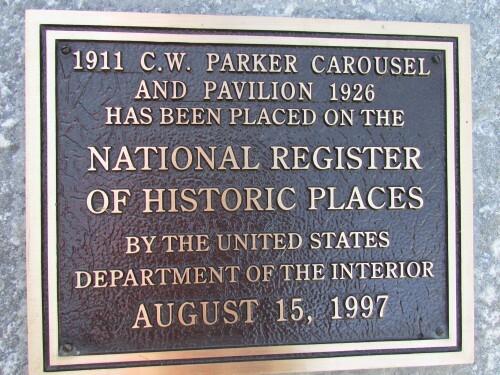 The city hosts one of the last CW Parker Carousels in operation, also one of the oldest, originally built in 1911.. 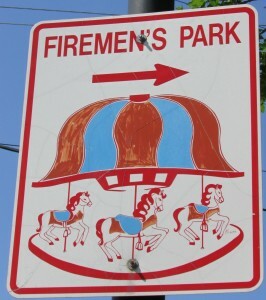 The Carousel resides at Fireman’s Park in town. We arrived just before it opened at 4:30. 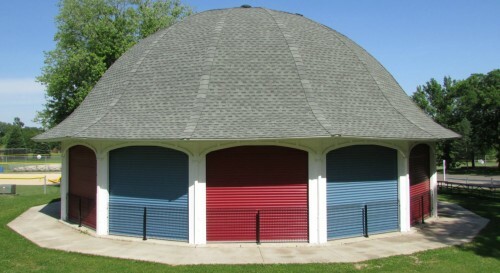 It’s protected from weather when not in use. A couple plaques are outside. 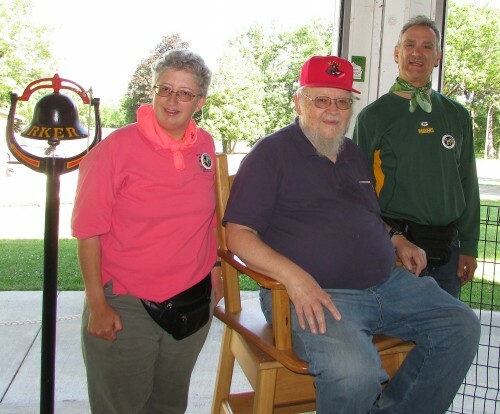 Bob Hanson arrived to operate the carousel. He is very nice and even posed for a picture with us. We had a great ride. 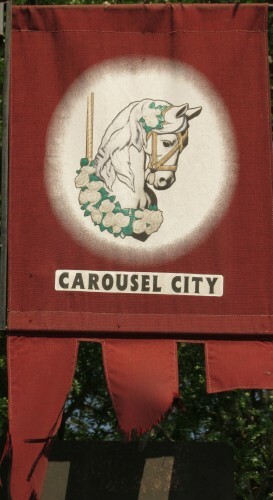 The carousel was damaged in the floods of 2008. All parts were restored and it was moved to higher ground. 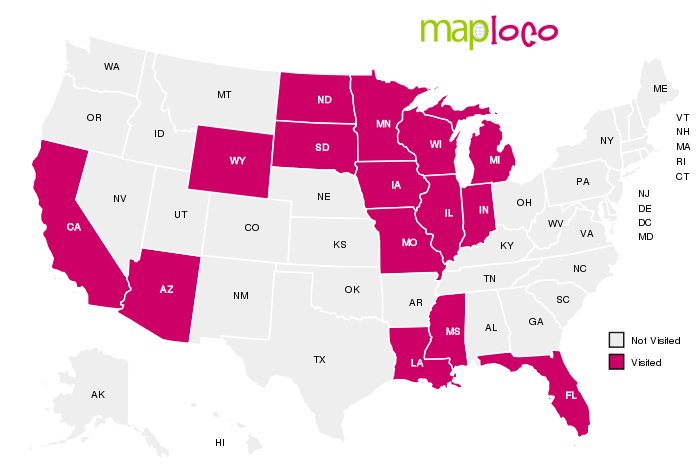 It has now been in operation since July 4, 2011. It took 3 years to restore it to its former beauty. It was a great ride, we had fun. 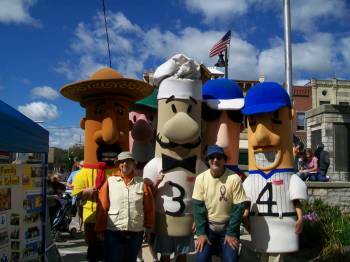 We have also attended their festival, Weiner and Kraut Day in September. 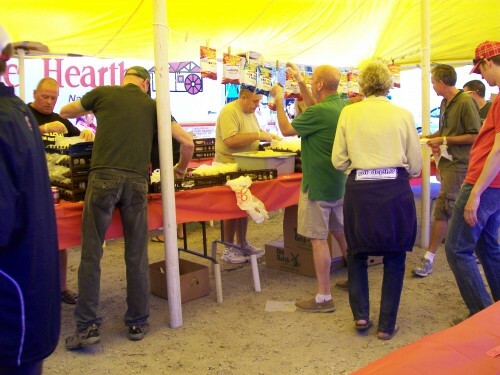 The city goes all out with hot dogs and sauerkraut, live music and lots of other fun events. Here we are with the Klemens Sausage Guys. 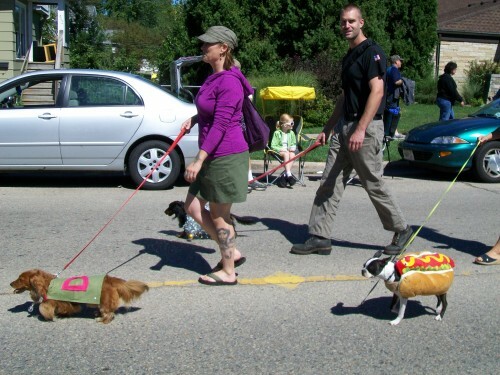 We love taking what we call, “crazy character” pictures at every opportunity 🙂 One of our favorite part of the festival is the Weiner Dog Parade. Its so cute seeing all the dogs, some of them even have costumes on. City-wide garage sales are going on too. 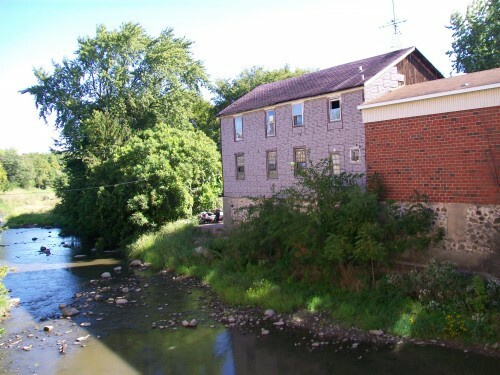 We hope you enjoyed your visit to Waterloo, beautiful city on the Maunesha River. 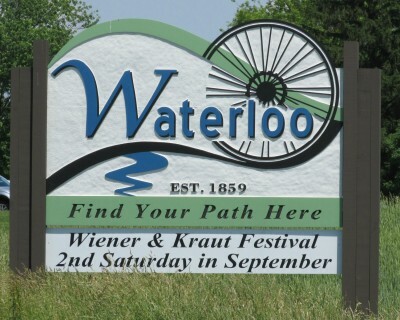 I really liked your Waterloo pictures. 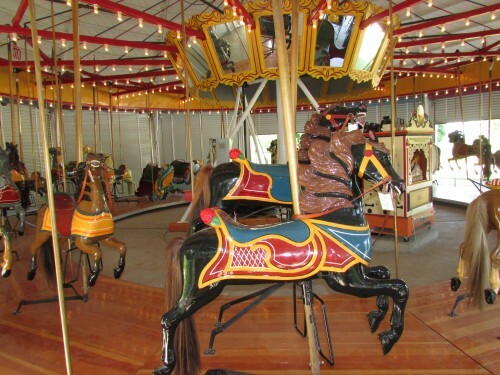 What a beautiful carousel. The whole town seems really interesting.